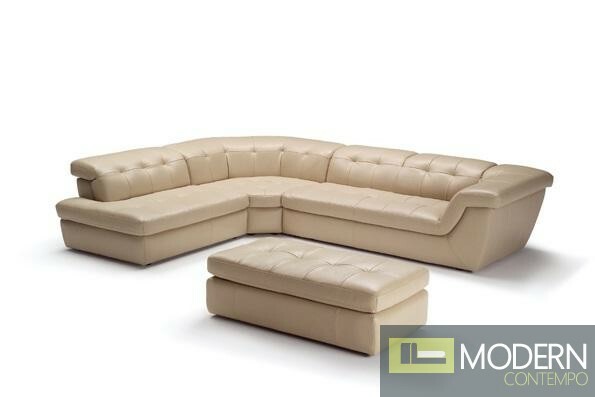 Italian Leather sectional sofa set fashionable and stylish in two colors, seats and backs have high density foam to give you extra comfort and support. Features: 1.Available as RHF Chaise Or LHF Chaise 2.Top grain Italian leather 3.Color:Tan/Chocolate 4.All corners are "blocked", nailed, and glued for strength and durability. 5. No Splits. 6. Adjustable Head Rests.